Any website design process is an extension of overall business marketing efforts. 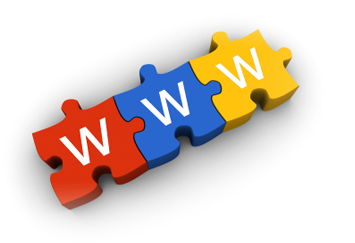 In many cases, websites are the sole or the leading way of generating businesses. However, while working with the ordinary or substandard website design company, organizations feels that they have been forced to adjust with the website model that is not fit to their business standards. While hiring such website design company the conversations generally starts with “what is your favourite color that you want to show on your website?” or “what are your favourite font?” Though this is a very important decision to take while planning for any website design, the conversation should not include it on the earlier stages. While planning for website design, the company that assist you for website design should first understand the business model and give priority of the business that needs to highlight on the website. At Brand Core Media, while discussing for any website design process, we ask many questions to our clients to get acquainted with more knowledge about their business. We have also implemented a robust process of information architecture that helps us to determine specific business goals. Our website design process is mentioned below. While our first meeting with the website design client in Ahmedabad, we have a lot of questions to ask for. Such questions are based not only on any personal references but also to get at the bottom of what is needed for website design to make it your business channel. To be more specific, we ask questions about your customers, potential customers and their profile, visitors and learn what they expect out from your website. We also note down your business goals that you want to fulfil through website. After all, it would not be great if you love your website but your customers are not finding it useful at all. Below mentioned are some of the questions that you can expect from us. - What are your business goals that you want your website to perform? - Who are your lead competitors? - What are your business USPs? - Define your target audience. - Design preferences that you want us to implement. - What are the communication channels that you want to implement on your website? - What specific functionality you want on your website? Once we collect and analyse the answer of these questions, we are ready to move ahead. Once we are done knowing the specific customer needs for their website design, we do lot of researching. Here we put together the plan and the action of the design steps that matches to the customer profile, competition and the goals of the website. We identify what works best with your niche requirements and also identify where others are doing wrong for getting more business through website. We make sure that your website comes with a perfect balance between creativity and technology and plan out how to control both of them perfectly. This is a real step when we start building your website for all necessary integration of technology and the art. We gave your website an early structure that is call a wireframe in technical terms. It is actually a skeleton of any website. The goal of the website wireframe in any website design is to determine the weight-age of the all element in the site and to decide the hierarchy and internal linking structure. It also gives an idea about usability and navigation of the website. This is the final stage of the design process and this is where everything come together to make a performing website for your brand or business. Here creative art work meets with latest and updated technology to develop your website. We also implement all functionality of website at this stage. Once we are done with the total design and development task, we put it for the testing step for measuring all functionality, website load test, speed test, internal navigation, sitemaps and all. All of these testing is done in-house and on the test servers to make sure when your site is live, it works without any trouble. B. P. College Of Business Administration Gandhinagar Has Launch A Brand New Interactive Website For Students.